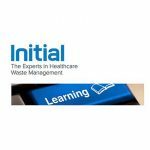 Dental Nurses – Are you up to date on waste? Initial Medical is pleased to announce that members of the team will be hosting a special session for dental nurses at Leicester University on 7th March 2019 at 6pm. The session for dental nurses will cover the importance of correct waste disposal and segregation, as well as topics such as safe disposal of dental amalgam. Open to all members of the Society of British Dental Nurses, it will provide a wonderful perspective on all things clinical and dental in regards to safe waste management. Find out more by contacting Initial Medical.